The figure used for this unit is a modified Heroclix figure from the Man of Steel set. Its model number and name are #011 / Jax-Ur. Tutorial on How to Paint/Mod this Figure. 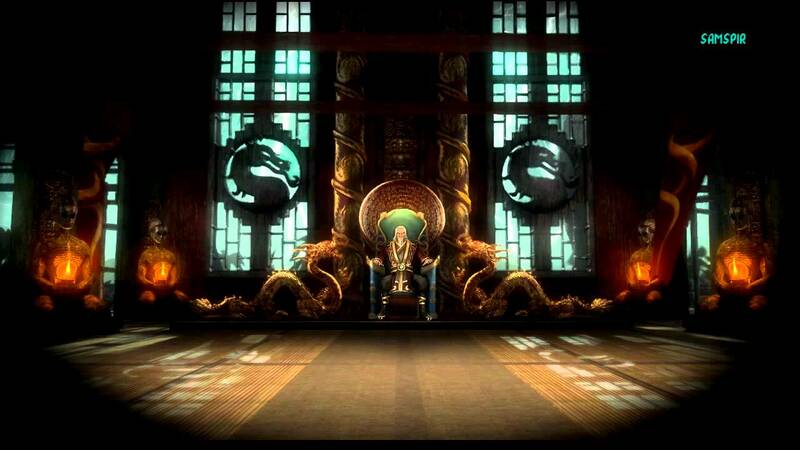 As a Human, Shang Tsung has these Human Synergies. Shang Tsung cannot place a Soul Marker on the card of a friendly Common, Squad, or Event figure. Shang Tsung cannot place a Soul Marker on the card of an opponent's Common, Squad, or Event figure. As a Human, Shang Tsung interacts differently with these special powers. 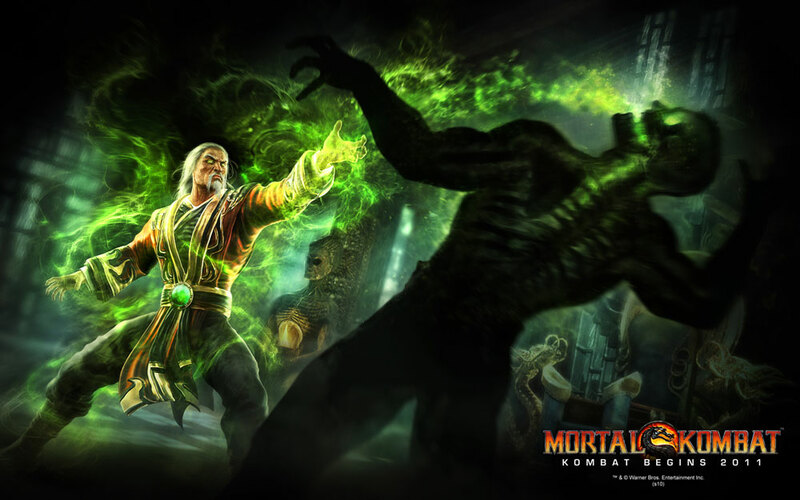 As a figure with a special attack, Shang Tsung can interact differently with these special powers. The correct way to add C3G playtests to posts. My favorite day EVER on heroscapers. Last edited by Ronin; March 16th, 2019 at 04:13 PM. Start the game with 7 green Soul Markers on this card. Instead of attacking, you may choose an adjacent figure and roll the 20-sided die. If you roll 9 or higher, the chosen figure receives 1 wound, and you may remove 1 Wound Marker from this card. If the chosen figure is a Unique Hero, you may also place a Soul Marker on that figure's Army Card. Any time a numbered Order Marker is revealed on any Army Card, you may immediately choose a figure with your Soul Marker on its card and roll the 20-sided die. If you roll 9 or higher, then for this player turn, Shang Tsung must use the chosen figure's Size and its Height, Move, Range, Attack, and Defense numbers in place of his own, cannot use any other special powers on this card, and gains all of that figure's special powers. If any of its special powers refer to that figure or that figure’s card, they refer to Shang Tsung or Shang Tsung’s card instead. Range 4. Attack 1 + Special. For each skull rolled against the defending figure with this special attack this turn, add 1 automatic skull to whatever is rolled for this special attack and subtract 1 from the defending figure's Defense number. After attacking with this special attack, you may attack with it 2 additional times. Last edited by Arkham; March 13th, 2019 at 02:39 PM. Start with the Jax Ur figure listed in the OP. Trim the sash in front to be shorter and rectangular. Paint everything but his hands and head black. Use red with a little black for a little dark red color, and paint his sash as well as the front and back of his coat, leaving the undershirt black as seen below. Add the gold trim along the coat and belt, and details, as seen below. Add some black line work over some of the gold, such as the snake patterns that go up the front of his coat, down the center of the sash, middle of the belt, on the shoulders, and on the cuffs etc. as seen below. Add a gold circle on the front of his belt. Then clean up some of the line work throughout the entire figure as needed, as painting can cause some messy lines etc. Add a green blob of paint over the gold circle on the belt, to represent the gem. I let a lot of paint accumulate on the brush and place it on there to make it look like an actual raised gem. Add white lines on the undershirt to represent overlapping layers under his coat. This part is a little trickier. I used very slightly greyed white paint. I globbed it onto the brush, meaning I got a lot of excess on the brush, and basically just placed it onto the top of the head of the figure. I would then proceed to kind of paint it down lightly, pulling the glob of paint down to look like hair. Keep doing this, then eventually let it dry. This will harden enough to stay in place. Do the same for his beard. Then add white over his eyebrows. I added a light black wash, but this is optional. It's when you take black paint and water it down a ton so it's basically darkened water. Then brush it over the coat and sash, then quickly wipe off gently. It's to create a little more depth. Not necessary though. And that's it. Last edited by Arkham; March 12th, 2019 at 12:47 PM. Flaming Skulls looks pretty potent (if you're rolling hot). Very complex power but we're like 800 designs in, we've gotta start going some weird places. I love power stealing stuff, so he's up my alley. Any specific reason for 7 markers? I’d guess due to 7 fighters in the original game. Not something that’s absolutely necessary but I suppose it’s a nice touch. Yeah, it was meant a) to be a high number so you're not feeling restricted by Marker number (didn't feel that was thematic) and b) to be a nice little thematic nod to the number of fighters in the first MK. Any concerns here? I'll try to post the competitive review today. Need to get this guy moving. I think we fleshed this guy out nicely in brainstorming so there's not too much in the way of issues here. That SA is scary. The third attack could hit for 4 skulls vs. -3 defense correct? Making it each skull previously rolled for the bonus would keep it much more in check, but maybe that's reining it in too much? 1. Does the design disrupt opponent's Order Markers in a way that offers a net gain in turns taken with strong figures versus the turns your opponent can take with strong figures (Ozymandias, Joker (I), Meteorite)? 2. Does the design offer auto-wounding that either doesn't require taking turns or is otherwise extremely efficient (War Machine, Jason Voorhees, Cosmic Cube)? 3. Does the design immobilize figures or prevent turn-taking (Blob, Spider-Girl, Diablo, Green Lantern Alan)? 4. Does the design move opponent's figures in a way that's easy to pull off and can move figures multiple spaces in multiple directions (Graviton, Magneto, Vulture)? 5. Does the design allow for moving friendly figures without taking turns, or for moving 2+ friendly figures while still taking a turn (Martian Manhunter [I], Green Lantern John, Angel)? 6. Does the figure allow for two figures, one of them being a wide range of possible figures, to both attack on a single Order Marker (Zombie, Robot, Iron Patriot, Ms. Marvel, Rocket [II], Martian Manhunter [II], Nebula, Baby Groot, Havok)? 7. Does the design offer any sort of passive boost outside of a narrow set of figures (Star-Lord, Sage, Brainiac 5, Captain America, Batman [III])? Decoy, Aaron Cash, Jocasta, Weather Wizard)? 9. Is it OK for the design to have defensive abilities that could make it essentially unkillable in some matchups or endgame situations (Cosmic Cube, Healing Factor, Master Martial Artist)? 10. If the figure has auto-destroy powers or powers that can force the opponent's figures to attack each other, are they balanced for strong opposing figures and/or boosts that can make the powers more reliable (Puppet Master, Psycho-Man, Enchantress)? 11. Is the figure likely to earn its value many times over by either running out alone at the start of a battle (pre-eval Crow, Solomon Grundy) or by sitting in the startzone until the end of a battle (Arnim Zola, Silk Spectre)? No,with the mimicry power, I can't see him camping in the start zone. 12. Will synergies in the design create concerns for future designs (Mad Thinker, pre-eval Enchantress, Star-Lord)? 13. Does the design combo particularly well with one of the design concerns above (Magma)? No. He is pretty selfish. From less than zero to Hero! Seems to be sound to me! C3G Project is Always Looking for New Members! Head here to get started! Playtesting is the most helpful thing!